These pictures were taken in Antwerp by Annebeth before an event. 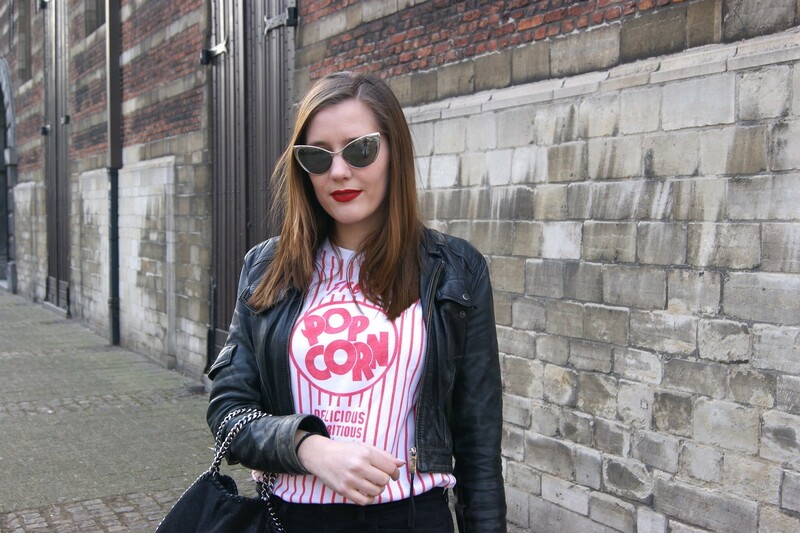 It was one of the first sunny days of the new year, so I decided to finally wear the Fresh Popcorn shirt by Filles À Papa that I got a while ago. My dad hates it, but I think it's too cool. Filles À Papa can do nothing wrong for me -- literally. I decided to combine it with two other items that I hadn't worn in a while: the Stella McCartney Falabella bag that my mom got me as a graduation gift and my beloved Chloé Susanna boots. I've been quite happy for the past couple of days. Q-Music has been playing the Top 500 From The 90s non stop on the radio and it brings back so many memories! It got me dancing and singing all day long, to the point that it's driving my friends crazy. I also got tickets for the I Love The 90s party next month. Peter Andre and Hanson are going to perform. I repeat: PETER ANDRE AND HANSON ARE GOING TO PERFORM! I used to have a major crush on Peter Andre when I was in my early teens and everyone has danced and sung to MMMBop at least once. Don't you dare to deny it. I'm so excited and I'm already thinking about my 90s outfit; big hoop earrings, super dark lipliner, pink eyeliner, high wasted jeans ... It's so difficult to choose just one 90s trend. What's your favorite memory / trend / song ... from the 90s? Toffe outfit! 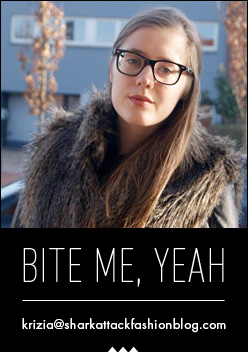 Ik was vroeger grote fan van Get Ready! Ik ging naar ieder optreden in Limburg haha. Echt goeie herinneringen aan! loving the sunnies and don't you just love your chloe booties? I have the same pair but in red! love the bag and the boots, nice look! Aaaaah, dat shirt is echt geweldig. Love Filles A Papa! red lipstick looks great on you! perfect outfit!! love the leather jacket very much!! 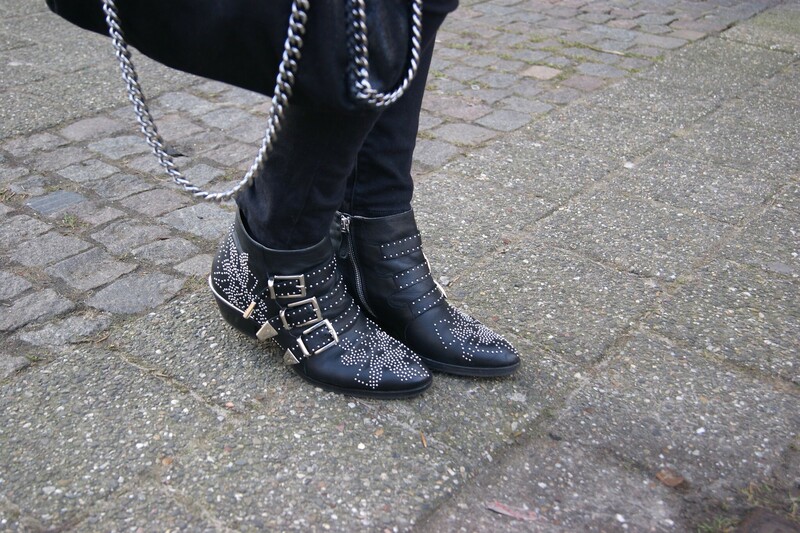 Wat een stoere look! Die zonnebril is echt super! Oh ja, die zijn ook heel mooi! Great pictures! you look so amazing!